The F-35 strike fighter is supposed to be streets ahead of the competition. It's stealthy. It's smart. It networks with everything and everybody around it to give its pilot an unprecedented picture of what's going on. So why does the US Air Force already want to replace it? Russia and China both claim to have already put new hypersonic missiles into operation. These can cover the ground between Adelaide and Melbourne in less than six minutes. China's boasting the first ever electromagnetic rail gun to put to sea. It is supposed to be able to fire cheap, guided, shells incredibly fast, incredibly accurately, over incredible distances. And everyone seems to be testing lasers for their abilities to shoot down drones, missiles and aircraft. So the war the F-35 was designed for may already be over. Instead, the future appears to belong to drones, hypersonic speeds, and artificial intelligence. And these are elements the United States Air Force wants incorporated into a new prototype test fighter. Given how long it took to get the F-35 operational, it may not be a moment too soon. A Norhrop Grumman concept image of its proposed 6th generation fighter aircraft. Aerospace engineers have not been sitting idly by as the F-35 Lightning II went through its birth pains. They've been tackling a concept called Penetrating Counter Air (PCA). It's the framework for the next generation air superiority fighter. It's supposed to replace existing F-22 Raptor stealth fighters, and increasingly antique F-15 Eagles. 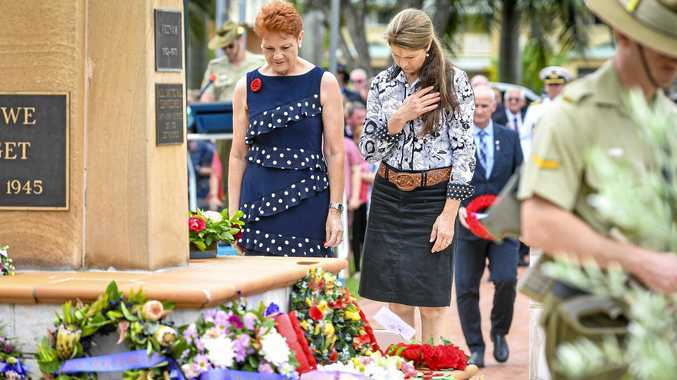 "The Air Force is maturing technologies as well as assessing prototyping and demonstration activities as potential options," Air Force spokeswoman Captain Hope Cronin told defence blog Warrior Maven. Exactly what shape that takes remains a secret. But early last year, the US Air Force released a promotional video outlining what it says is its vision of the future. It shows a sleek new fighter jet - simply dubbed "F-X". It appears to move fast - very fast. And it's armed with a laser. But it does not fly alone. With it is a gaggle of robotic drones, tightly networked to co-ordinate in any act. To control this - and finely tune the aircraft if it is subjected to the immense heat and stress of hypersonic flight - will be an on-board artificial intelligence. It would have to be smart enough to make the F-35's 'intelligent' logistics system, ALIS, look like a preschooler. And again, the apparent emphasis is on 'networked' sensors and weapons. This relies on stable, secure, 'wi-fi internet' connectivity. It would need to be jam proof. Hack proof. Glitch proof. Self fixing. "That will require a lot more going into the design of the next generation of combat aircraft than how fast and far it can fly - or what the numbers of weapons it can carry," Retired Leftenant General David Deptula told Warrior Maven. "It is about creating an entire system of systems that is self-forming and self-healing with a greater degree of awareness than an adversary can achieve, and a much greater degree of survivability". 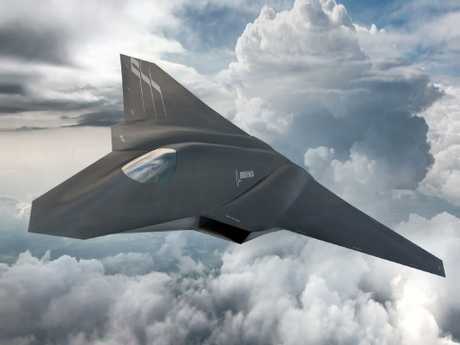 A Boeing concept image of its proposed 6th generation fighter aircraft. And where stealth and sensor integration were the great challenges faced by the F-35, the next generation will have to contend with heat and reliable AI. Hypersonic flight is not easy. Vehicles must travel through the atmosphere at speeds that tear meteors apart. Keeping such a craft stable, maintaining its structural integrity - and maneouvrering - under such extremes is the subject of ongoing study. While projectiles appear to have been mastered, flying drones - yet alone manned vehicles - still face hurdles before they become reliable and safe. This will largely be down to AI. The necessary tweaks and balances will have to be made within milliseconds - far faster than a mere human can react. All the radar stealth in the world is useless if these aircraft become so hot as to glow in the infra-red like a second sun! 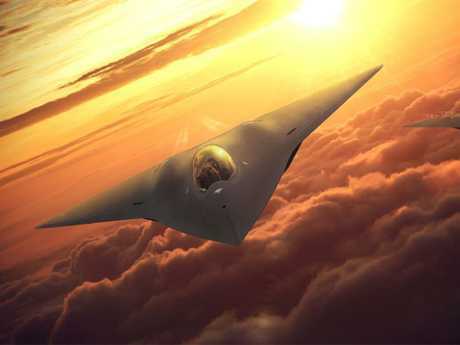 "To become low-observable in multiple spectra, advanced skins manage a plane's heat distribution to foil radar, infra-red, and thermal detection systems," a NATO report titled The Future of Combat Aircraft: Toward a 6th Generation Aircraft reads. "These skins do this by distorting or eliminating heat distribution to restructure its thermal shape. They may also be able to heat up or cool down all parts of an aircraft's surface to perfectly match the surrounding atmosphere, making it virtually undetectable." But the "F-X" may not have to be hypersonic. 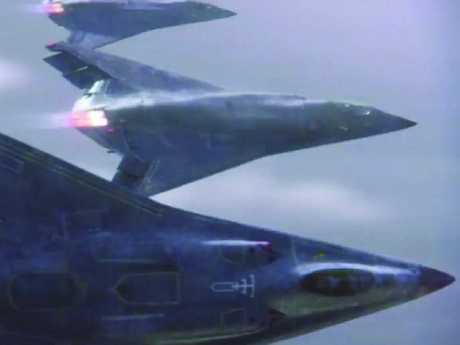 Instead, it may rely on a new generation of radars and passive sensors to detect enemy stealth aircraft while it is itself hiding deep within enemy territory. It all depends on what can be built, when - and for how much. A Lochkeed Martin concept image of its proposed 6th generation fighter aircraft. US defence manufacturers are already on the job. Northrop Grumman, Lockheed Martin's Skunk Works and Boeing's Phantom Works. All are 6th Generation contenders. The money involved will likely end up making the F-35 - currently the most expensive defence program in history - pale into insignificance. "Other stealthy aircraft, such as the B-2 bomber and the F-22 and F-35A fighters, have experienced cost increases that resulted in lower production rates and decreased total purchases," the Congressional Budget Office warned. "Containing costs for the PCA aircraft may be similarly difficult." A recent study presented to US Congress, The Cost of Replacing Today's Air Force Fleet, attempted to calculate how much government would have to put aside for the Penetrating Counter Air project. I came back with a figure of $US300 million ($A415 million), a piece. The F-35, at the moment, comes in at about $US100 million each. And Congress has been told it needs a fleet of at least 414 of the ultra-advanced jets. Now, it comes down to the numbers. What can the manufacturers offer, on a budget? "the Air Force could decide that the PCA aircraft's cutting-edge design is unaffordable and instead opt to purchase more F-35As," the Congress Budget Office warns. Or, it could continue to do what it is already doing: extending the lives of older aircraft, updating their avionics and sensors - and hope all potential oppositions are doing the same.